Want to buy Educational Toys for your kids that are also fun? As a STEM Educator and founder of an educational company I am often asked by parents what gifts and Educational Robots I recommend for their kids. I tend to recommend Educational STEM gifts for kids. In this article I will tell you what I think are the best educational toys for kids. Since I taught myself all of this as a kid and now run an educational company that teaches STEM, I have a lot of knowledge of relevant STEM gifts for kids. I have used many of these products and for everything in this list I decided whether to teach with it or not. Throughout this article I will explain why I do or do not teach with each item. So in my opinion, what are the best educational toys for kids? I am going to break this down in to educational robots for kids that we use to teach, those we may use in the future, and others that we don’t use. Full disclaimer – I have a long standing relationship with Parallax and I make money when I directly sell their educational products. I am also human and can be prone to bias like anyone else. I can tell you I tend to lean toward educational toys for kids that have more technical depth and room to grow. This is part of why I like Parallax when it comes to STEM gifts for kids. We’ve had a lot of people ask What is Robotics? Click the link to the left for your answer. As the founder I do everything from teaching to purchasing. I’ve seen tons of robots and robot kits for kids. What did I choose to teach with, and why? Notice how the video went straight to specifications, and showed the industry level programming language? This educational robot is a big step above the average STEM toys for kids. This is the workhorse of our Robotics Classes for Kids and Teens. To be honest a part of why we chose it is because it’s what I know and love. That said, there is a reason I’ve used them for so long. The Parallax ActivityBot is highly reliable. It is built in America. There is enough technical depth that even I can still learn with it. At the same time I’ve successfully taught young students with this educational robot. For example we started teaching one student when she was 6. She is still learning and expanding her skill set 3 years later. This is also the platform the Construction Robots were built on. The Parallax ActivityBot can be programmed in Blockly and C. C is one of the big industry level programming languages. Since I do sell these and can make money, I think I should at least mention one negative. The only one I can think of is a computer had an error when using the robot. However it turned out this was due to a damaged USB cord. Also, like most robots (educational robots and toys) they go through batteries quick when used heavily in class. However the students helped design a new chassis which holds a large rechargeable battery. To learn more about our Robotics Classes check out Robotics for Kids and Teens. 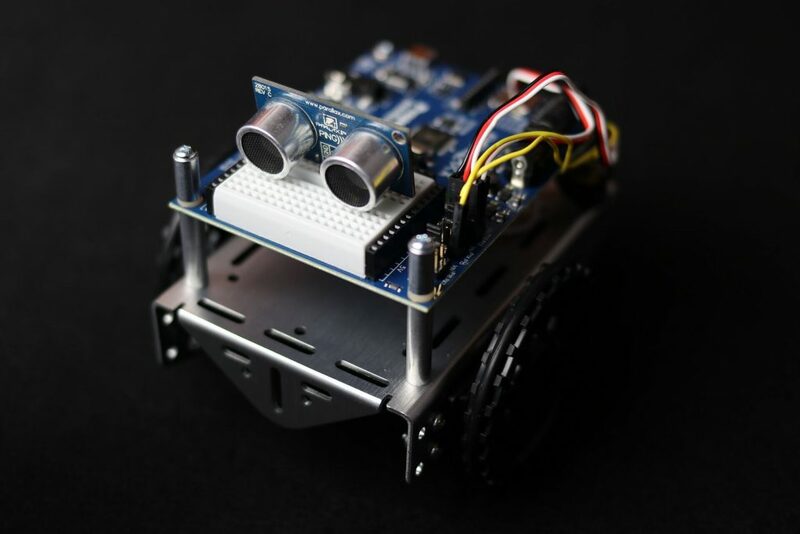 You can find a full article on the Parallax ActivityBot 360 Robot Kit here. I consider this to be the best educational robot. However at $200 it isn’t for everyone and therefore might not be the best educational gift for kids given the price. Though we don’t teach with this nearly as much as the ActivityBot we consider it to be a great platform. There is less technical depth, but more fun out of the box (almost). Why almost? It doesn’t come with a Sharpie in the box. You can drop a Sharpie in the middle of the robot and it will draw the picture you program it to. This robot is a ton of fun. This strikes me as a toy that I would have loved as a kid. I was right. They did release the Anki Cozmo SDK however it is better than I’d originally thought. Since writing this article we have already gotten the Anki Cozmo in the classroom using the SDK. Code Lab is fun, but the real power is in the Anki Cozmo SDK. We have started teaching with the Cozmo (before Christmas 2017) and will continue in the future. More details in the link above. 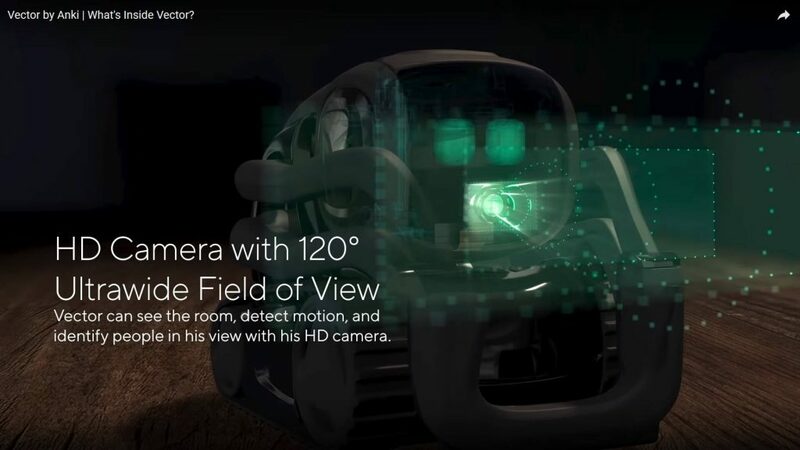 Anki recently launched Vector. It is currently only available via kickstarter. If you want to know the Differences Between Anki Cozmo Vs Vector. The reason we recommend Vector is because of the Anki Vector SDK. You can find information all over the place on this kit. So I’ll keep this section brief. Why doesn’t Kinvert teach with this educational robot? First, everyone else does. That should tell you something about its popularity. Second, we can already teach young kids with the ActivityBot which has much more technical depth. If we do start teaching younger kids we will certainly take another look at these fun and educational robots for kids. I’ll wrap up Lego Mindstorms by mentioning that I desperately wanted it as a kid but never got it. Kinvert has some students that take our Kids Robotics Class and love the OzoBot. They said that though most of their tech toys like this they buy end up collecting dust, the OzoBot was the one the kids used the longest in their family. One reason is we don’t use tablets to teach. This was the immediate deal breaker. Though the OzoBot looks like more fun out of the box there is a lot more room to grow with the ActivityBot. Though in it’s current form it’s too simple for the Kinvert classroom it could still be an interesting teaching tool at home for younger kids. Improvements in the coding or teaching to a younger audience could change this in the future. I wouldn’t expect most parents to be able to help their kids program in C as you would with ActivityBot. But if you know how to install an app I bet you can get this fun and educational robot working. Low barrier to entry. Low price. Recommended by students and parents. These seem very popular and get good reviews on Amazon. One thing I look at early on for a product is how they market it. They focused a lot on the actors and their reactions, and very little on the programming aspects. What little programming they did show looked both confusing and simple. We tend to avoid snap together languages at Kinvert. Companies don’t hire people that know Scratch (which is a free teaching tool). They hire people who know Python or C for example. After investigating I found it can be programmed with Blockly which also works with the Parallax ActivityBot and Parallax Scribbler. You can find another review of the product here. This is similar to the MiP but has some coding functionality. This could be good for very young kids but overall the coding level seems far below that of Scratch. This could be a good stepping stone for younger kids getting ready for our STEM classes. At around $90 this is an interesting kit. 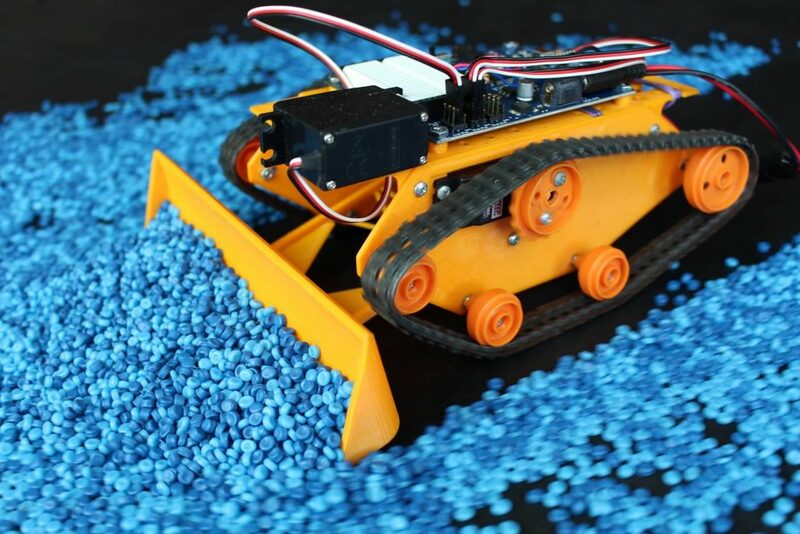 There is the potential for significant technical depth with this educational robot. We decided on the ActivityBot due to the quality of Parallax support and equipment. In addition the Parallax Propeller chip is much more capable than the Atmel chip used in Arduino kits. An interesting feature this has that ActivityBot doesn’t is dual XBEE sockets. The ActivityBot comes with one XBEE socket. As with the other stuff in this list, I hope to write a more comprehensive article on this particular educational robot. This is an interesting educational robot that I really should know more about. Their different kits could really make some great STEM gifts for kids. I haven’t researched all the capabilities of this robot kit yet since we’re already well served by the ActivityBot. I will definitely look in to this educational robot more in the future and will write an article on it. For now, remember that these robot kits by Makeblock could be good STEM gifts for kids. I have seen these at schools and other STEM Education companies that teach younger kids. When I ask people about them it is clear the Sphero is well liked. There isn’t much coding involved. Though it is fun, it doesn’t have much technical depth compared to other educational robots. I consider these to be toys or maybe educational toys. I don’t really consider these to be educational robots. However they could still make excellent STEM gifts for kids. Remember that the T in STEM is Technology. This looks like a fun robot for kids. However we do not view it as an educational robot or a great STEM gift. This thing looks like it would be a lot of fun. At least at first. However I’m not sure the depth is there to keep them engaged with this robot for as long as the others. Combined with Mip, I think these are great STEM gifts for kids. Though I don’t directly consider them to be educational robots, I still think they’ll get more out of this than most video games. If you’re interested in this check out Robot Dinosaur – Ultimate Guide. Since this is an online app I don’t know if I’ll link to it directly. But I do use this to find 3D Printers. Search for “3d printer comparison chart”. You’ll find a site called ProductChart. Please keep in mind that though a 3D Printer is an amazing educational gift for kids it comes with some maintenance. You will need to keep the bed level. The nozzle may jam. On top of this, other things could go wrong. If you are a little mechanically inclined and can find YouTube videos it is pretty easy to keep level. I have yet to have a nozzle clog. That said, I don’t buy the cheapest 3D Printers. Let me know if I should update this list. 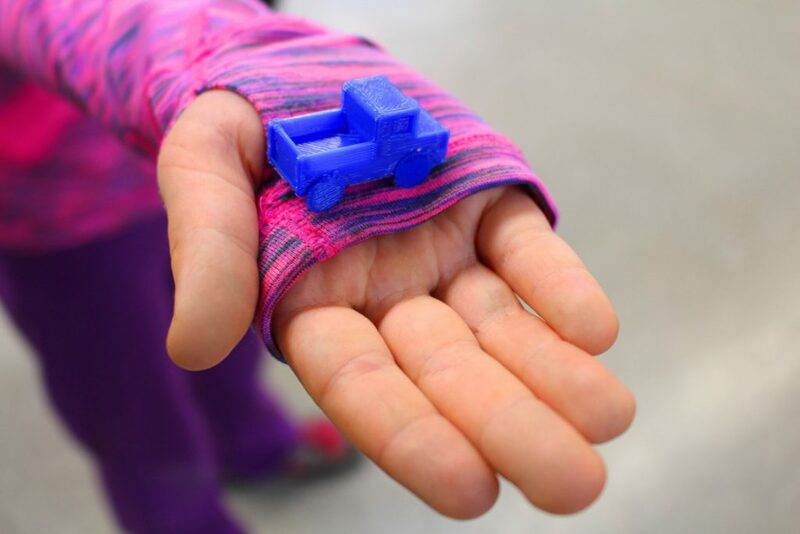 Here are the 3D Printers that I think will make the best STEM gift for your kid. 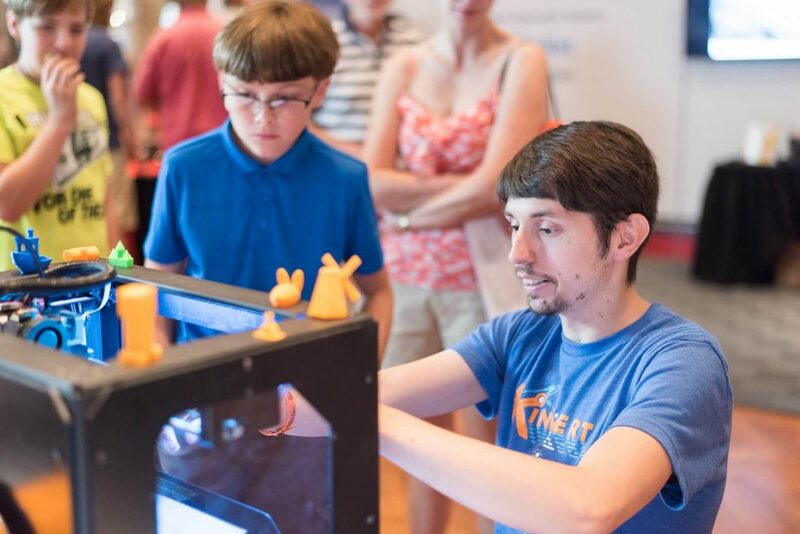 This is the workhorse of our 3D Printing Classes for Kids and Teens. This thing is a beast. It has been in and out of my car usually around 10 times per week for a year and a half now. I have only had to re-level the bed a few times. Sometimes it has been left in a hot/cold car. Works like a champ. It is always a hit both in class and at Maker Faire Detroit. It has Dual Extruders, and is well equipped to handle ABS as well as PLA. We use a bunch of these at a school in Center Line. We have 30 kids in this particular 3D Printing Class for Kids. Though the bed leveling was much more difficult than with the Powerspec Ultra, we have had hardly a problem from these. My biggest complaint is the potential pinch point at the front. Next, sometimes the parts are too difficult to remove from the bed. I think I’ll be trying painters tape on one of them in the coming weeks. This thing is an incredible value in my opinion. You get a lot for so little cost. That said, it is more flimsy than the Powerspec Ultra. I do NOT transport these around in my car on a regular basis. We almost went with this 3D Printer. It seems very sturdy which is good for the amount of abuse our 3D Printers take when hitting the road each week. In the end the single extruder, print volume, and weight are what sealed the deal. I ended up going with the Powerspec Ultra. We used one of these that a school district bought. It worked well for about a half a semester and then it started developing problems. I suspect the extruder gear slowly got clogged. But since it wasn’t my 3D Printer to maintain the school ended up returning it. This 3D Printer does tend to get good reviews, considering the price point. I will be updating this article throughout the weekend. I got a lot more feedback from parents than I expected which made the overall list longer than I planned. 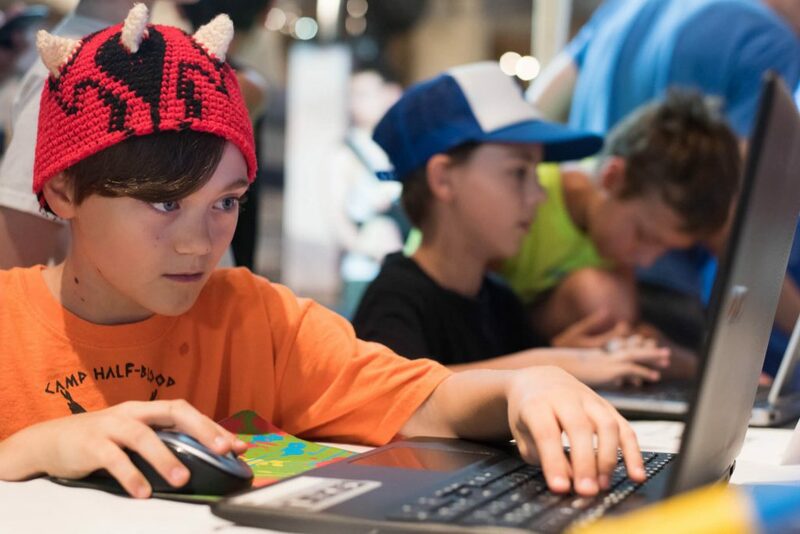 Suffice it to say, there are a TON of amazing STEM gifts for kids out there. If there is something you found that isn’t on the list, please let me know and I will update it as soon as I can. NOTE – For the above a similar set just got a Black Friday deal $67 here. Classes and experiences strike me as excellent educational gifts for kids. Full Disclosure – Obviously if you take our classes we will make money. I honestly think our classes are the best STEM Classes for kids around, particularly for 8-10 and up. However as the teacher I may be bias, right? 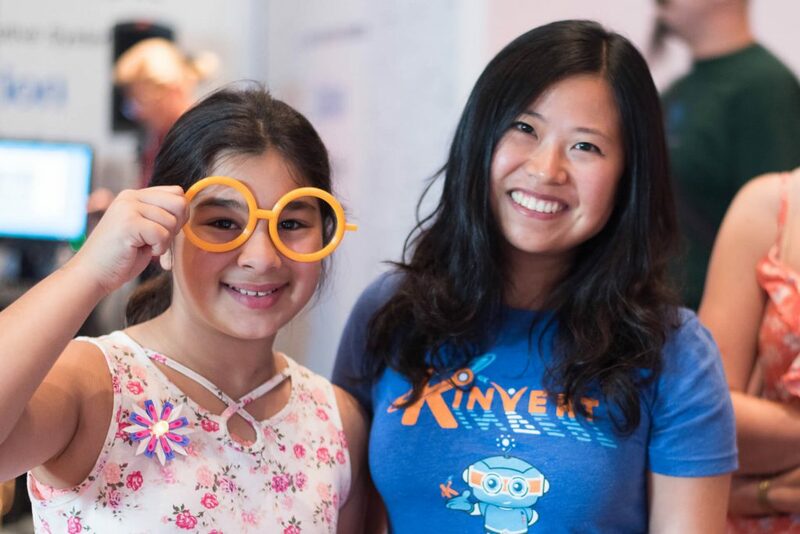 You can find Kinvert STEM Classes for Kids here. We are starting to offer Birthday Parties. More details later. idTech does camps in the Summer. In my opinion they are less technical however it’s cool to be on a college campus. In conclusion, what do I think are the best educational gifts for kids? I think that a reliable 3D Printer or the Parallax ActivityBot are the best educational gifts for kids if you have the budget. They give your children the most room to grow and learn. They can be learning from these past their twenties. Best STEM gifts for kids that are affordable, educational, and fun? Depending on the age I’d look at OzoBot or CoderMip. Also, check out Kerbal Space Program. I really can’t think of a better educational video game out there anywhere. If you have younger kids, such as 5 and under, take a look at the building toys. If you’re looking for something that might be considered a little more of an educational toy for kids, check out Snap Circuits and Little Bits. Did I miss anything? Have a comment about what you think are the best STEM gifts for kids? Please let me know! I’d love to hear from you. You might be interested in our Ultimate Guide to Homeschool Robotics. I intend to continually keep this article up to date. Your input could help many families find the best STEM gifts for kids.